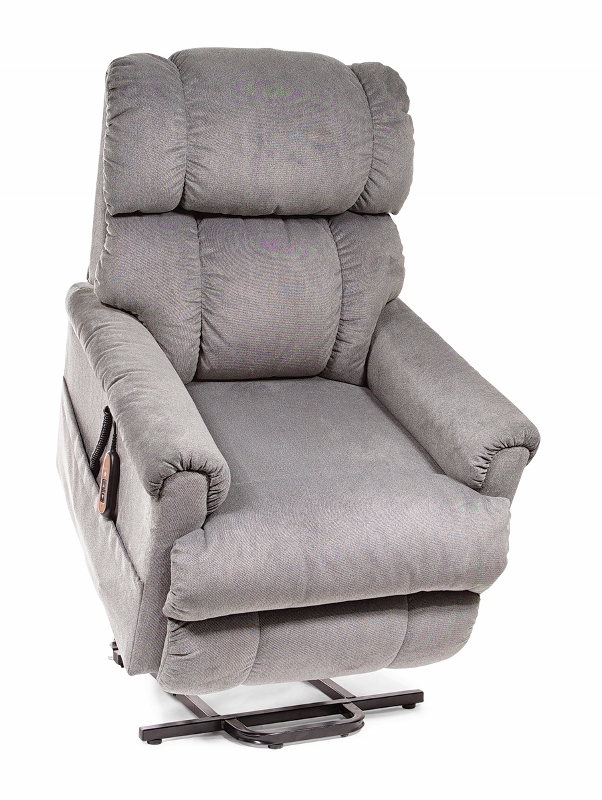 The Golden Space Saver PR931M lift chair is a true individual among the masses of lift chairs on the market. Plush, thick padding are added to the Space Saver's unique frame design, a design that allows the chair to be placed only 5" from the wall. This chair also features full luxury chaise padding, and, unlike other space saver chairs, you can always get comfortable with this chair! For People Shorter Than: 5' 10"
Space Needed for Full Recline: 5"